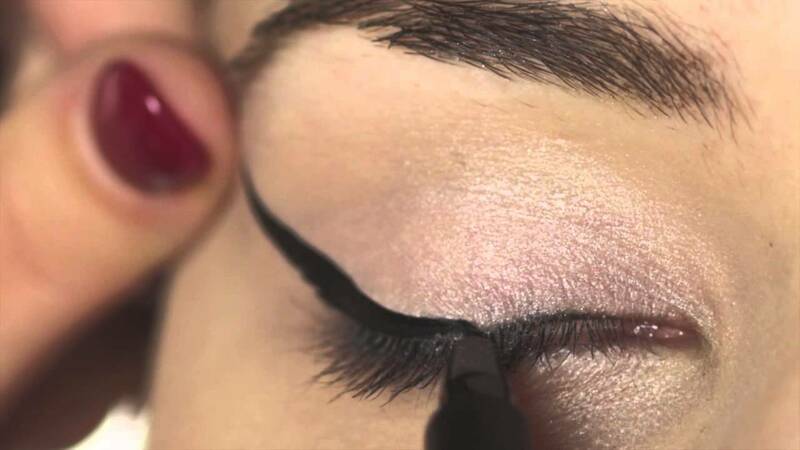 Using Scandaleyes Micro Eyeliner draw a line from the outer eye and then go along the lash line. Next trace along the crease line and fill in the outer corner following the eye shape. Extend the line across the eyelid and down past the inner eye. Finish the look with Scandaleyes Retro Glam Mascara in Black. Get the London Look!